The first global flagship Mumm Champagne Bar is a high-energy, strikingly social setting. It is dramatically laced with the Mumm label’s signature red ribbon that weaves its way through the space. 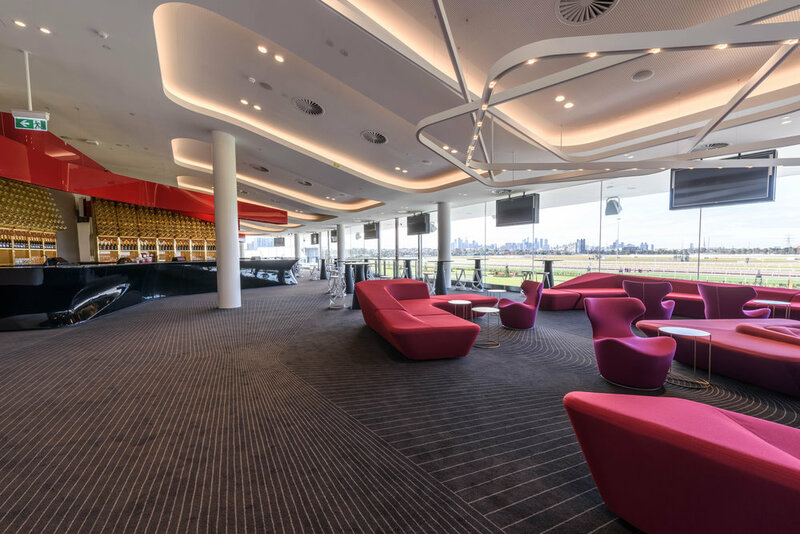 The iconic Mumm magnum’s elegant curves translate themselves into the parabolic structure of the sculptural glossed bar, as well as the contour map carpet. The carpet design is theatrically customised, winding around the spatial elements and defining circulation and movement. The intricacy and accuracy of the lines make the carpeting a parabolic work of art in itself. Mumm champagne is synonymous with the Spring Racing Carnival, and now it has been translated into a sophisticated setting to be enjoyed with oysters and caviar.